Built in 1921, this Spanish Colonial Revival bungalow court was designed by Charles Conrad and built by the Chicago Los Angeles Building Corporation. 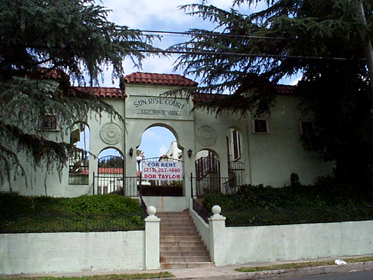 Sun Rise Court is a good early example of a uniquely Angeleno residential development type that arose during the early twentieth century. The bungalow court was created in Pasadena, California in 1909 and was the predominant form of multi-family housing in Southern California from the 1910s through the 1930s.